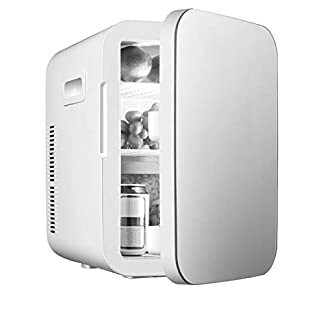 A Stunning looking Mini Fridge/Warmer from Think Gizmos are the perfect additions to any home or office and they are also great for taking out and about camping or travelling. AC/DC Portable Thermoelectric System… It can be mains or 12v powered (both adapters provided). The Mini Fridge is popular with campers, field workers and drivers across the world. It will help keep your food and drink cool in the summer and warm in the winter months. So, no matter if you are camping with your car or stuck in a traffic jam you can enjoy your food and drink at the right temperature. Your food is kept cool or warm thanks to the integrated dual function semiconductor, without the need for a noisy and heavy compressor. This makes it lightweight, long life and power saving. Gasket in its lid for air tight seal. Easy-clean, stain & odour resistant full CFC free polyurethane-foam liner. This Mini Fridge can be easily carried using the hand grips found on each side. Having them on each side allows you to keep the fridge level and stop it swinging about spilling the contents inside. Ideal for home, car, caravan, boat, office, bedroom and perfect for picnics. Provided with the Fridge are multiple power adaptors so it can be used in the UK, Europe and in a Car. Made from Strong and Durable ABS Plastic with a cool looking glass front panel the Fridge is designed to last and look great at the same time. Indoors or out, on the road or in the office, our cool retro style mini fridge & warmer is an essential lifestyle accessory. It’s slightly larger than most ‘mini’ fridges on the market (available in 10 and 15 litres models), thus allowing you to store that little bit extra, and comes in a choice of two popular designs. It’s even got a super useful Integral carrying handle on the top of it for easy portability. Power options of the mains adapter, or the included 12volt car adapter make it truly versatile, as it can be used anywhere (AC/DC Portable Thermoelectric System). 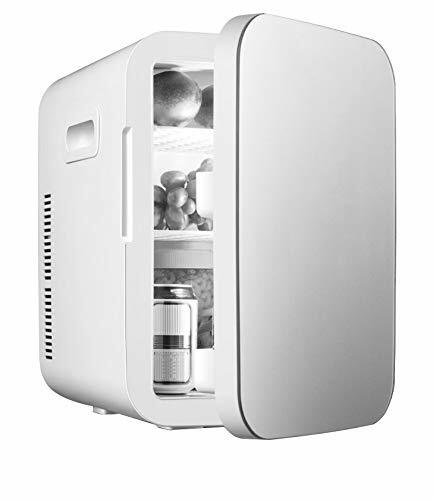 This is a quality 10 or 15 Litre mini fridge, that is efficient, ecological (Environment-friendly peltier cooling), and durable unlike may cheaper versions on the market.